Qi, (pronounced chee) is a Chinese term meaning energy, especially the vital force known as Prana to Yoga practitioners. It is the Ki of Reiki and Aikido. Gong refers to attainment achieved through practice. 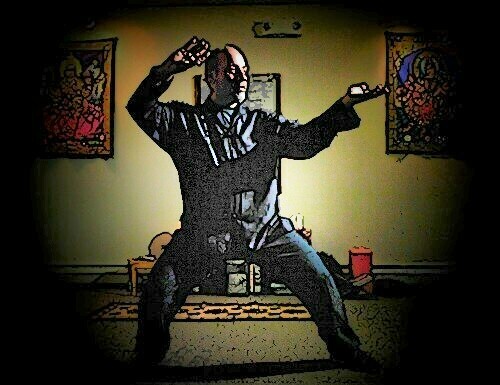 Qigong consists of exercises to nourish and circulate qi. Qi circulation is the foundation of Asian health practices such as Acupuncture, Shiatsu and Reiki, as well as Chinese martial arts such as Taijiquan. Taiji (or T’ai Chi) refers to the philosophy of yin-yang interdependence and change, and also the “internal” style martial art based on its’ principles. In these class we will practice simple, gentle, yet powerful qigong movements including Taiji “silk reeling” exercises to stimulate and facilitate the movement of Qi in the body. These classes are suitable for beginners and those with experience in Yoga, qigong, meditation, or martial arts looking to enhance their practice. Participants should look forward to stress relief, improved balance and coordination, a feeling of well-being…and fun! The Jaffe-Mellor Technique is a unique bio-energetic bodywork system. It is safe, natural, and non-invasive. Utilizing verbal questions and suggestions, reinforced by gentle acupressure and breathing patterns.Advanced JMT is designed to remind the body of it's inherent healing ability. This can lead to reduced levels of stress and pain, and an increased feeling of well-being. The SAEFET energy field enhancement system was developed by Jan Gyomber as a result of his research and wide experience with various existing energy field modalities. A synthesis of ancient and modern ideas, SAEFET aims for optimum results with minimum difficulty. Formalized during 2010, the research and development of this system formed the basis of Jan's 2011 PhD dissertation. SAEFET is safe and easy to learn and use. Private sessions and workshops available.